This 3 bedroom and 2 bathroom home is located at the end of the a cul-de-sac in the Cimarron Lake community of Mohave Valley. Cimarron Lake has its very own green space and lake (stocked for fishing!) and has access to the ever popular Willow Valley Marina and Boat Launch just a few miles away!! 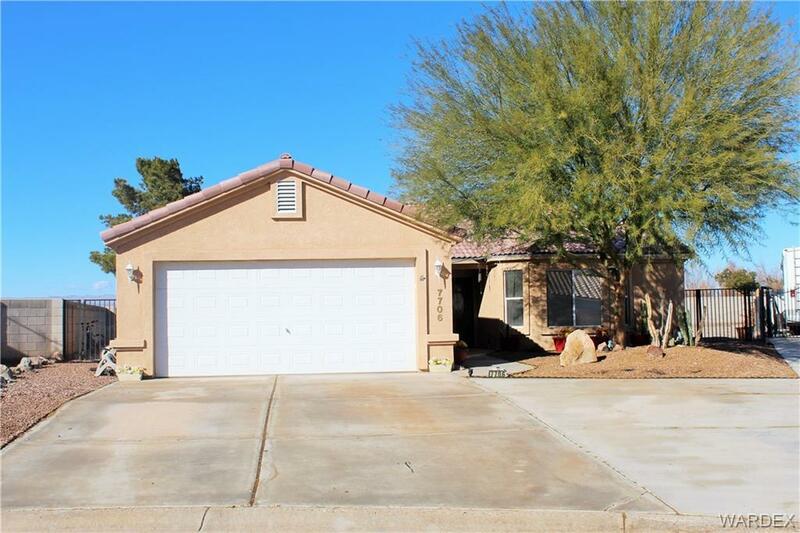 This home boasts extra concrete out front for extra parking, granite counters throughout, updated bathroom sinks, and a newly tiled jetted-tub and shower! The mountain views from the huge, pool-sized backyard are tremendous as well. Be sure to put this one on the "must see" list! CHECK OUT THE 3D VIRTUAL TOUR BY COPYING AND PASTING OR JUST BY CLICKING THE LINK BELOW!! !